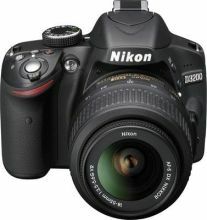 The Nikon D3200, an entry-level DSLR camera that combines outstanding performance and advanced specifications, was officially launched by Nikon on April 19, 2012. Nikon D3200 is a DX format DSLR Nikon F-mount camera with the smaller 24x16mm sensor. The Nikon DX format (APS-C image sensor format) refers to the size of its image sensor. It was the successor of its previous version Nikon D3100 and came with better image quality. The wide dynamic range of the Nikon D3200 with Expeed 3 image processor is appreciated by most of the experienced DSLR enthusiasts and beats some full-frame DSLR cameras. Resolution of the analog-to-digital converters is 12 bit which makes High-dynamic-range imaging possible. The DxOMark Overall Sensor Score of Nikon D3200 was 81, and it has the 9th position on DxO Lab's historical chart among all tested cameras. Large sensors capture better images, but need bigger lenses and require more space in the camera. Cameras with the large sensor are more expensive. The sensor size of this camera is 23.2 - 15.4 mm, considered as a good size and capable of taking high-end photos. The Nikon D3200 is equipped with Expeed 3 processing engine like D5200. This media processor is an expert of multitasking and allows High-dynamic-range imaging with a raw format. It makes the merger of multiple photos easy and avoids blurring and other errors. It works fast and lets users take extraordinary pictures in any condition. The CMOS Sensor DX with Expeed 3 Processor Sensor is the best thing in Nikon D3200. The Nikon D3200 ships in traditional black and red colours. It is small in size so easy to grip, and users can hold it comfortably with one hand. The camera body is mostly made of plastic but feels very solid. Wisely positioned controls make a Live view button, Movie recording button, and IR receiver within the reach of your fingers. D3200 has a button on the back for Continuous shooting and speakers on the top-left corner. I/O ports include External microphone input now. Dimensions of the camera are 125 X 96 X 76.5 and weight are 455 grams. Here we are going to give information about few controls that may help viewers to experience better imaging. The default mode is to the AF-A, which automatically switches between the AF-S and AF-C Modes. AF-S mode (single focus and lock) is for still subjects and AF-C mode is (continuous tracking autofocus) for moving subjects. To select among AF-A, AF-S and AF-C modes you need to. Then click to AF-A and click ok. The lowest ISO in D3200 is 200, and maximum ISO sensitivity is 6400. You can turn on 'Auto ISO Sensitivity Control' to increase its ISO. If you compare Nikon D3200 with its predecessor regarding performance, you will see a lot of improvement. The camera is capable of shooting up to 1080p30 (Full HD) video with 4 FPS and full-time autofocus in the continuous shooting mode. Taking high-quality pictures in direct sunlight is fun with Nikon D3200. Users can improve the lighting balance of the photographs due to Nikon's Active D-Lighting technology and get better contrast in the exterior. Nikon D3200 users can see the preview of an image, control their camera remotely up to 49 feet via the IR remote sensor and connect WU-1a Wireless Mobile Adapter to send images to smartphones and tablets after downloading the Nikon app. 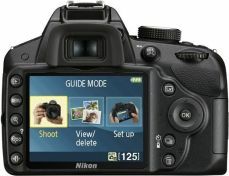 Nikon D3200 offers the higher pixel count in output resolution. The 24.2 MP camera comes with a 920K-dot LCD monitor of 3-inch display size. The camera is equipped with thin 3x optical-zoom and 2x digital zoom. The zoom lens of Nikon D3200 provides the widest angle of a picture at 18 mm and the smallest at 55 mm. It has an inbuilt flash too. The new 24.2-megapixel DX-format CMOS sensor lets you take sharp, detailed images with less noise. Nikon's EXPEED 3 image processor sensor takes care of the clarity and tonal gradation and provides more colours with less noise. Nikon D3200 can take perfect pictures in low light as its ISO range can be expanded from ISO 100 to ISO 12,800 for extreme low-light conditions, so now you shoot videos and take pictures of camp firing or night games which was almost impossible earlier. Scene Recognition System recognizes the scene before capture and ensures accurate autofocus, auto white balance and auto exposure. Nikon D3200 comes with rechargeable Li-ion Battery EN-EL14, which has the capacity of 1100mAh and battery voltage is 7.4 volts. This battery can also be used with other cameras such as Nikon D3100, P7000, P7100, D5100 and D5200. These batteries are highly durable due to their performance and are free from memory effect of other rechargeable devices. You can take more than 200 pictures and make a video of approximately 1 hour in one go depends on the weather and other conditions. Digital cameras use batteries as their power source. Compare to other portable devices these batteries last shorter. You can save battery life by turning off the LCD and minimizing the preview as they consume a lot of power. The camera has an option to add USB adaptor. The Nikon D3200 can add a Wi-Fi transmitter, so that send your images to your personal computer and share on social networks without a delay. Nikon D3200 includes a Guide mode, which makes it easy to operate for new users and allow them to take excellent pictures by adjusting camera settings. You can take excellent pictures applying several techniques such as selective colour and tilt-shift. The camera is light weighted and has a classy look. Nikon D3200 doesn't have a built-in autofocus motor. Automatic Exposure Bracketing feature is also missing. It doesn't have processing filters for live view effects. Nikon is a famous brand and well known for its wide range of camera that delivers high-level performance. 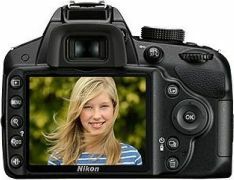 Nikon D3200 is a camera that offers excellent functionality at a reasonable price. 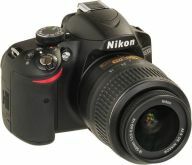 It has proved to be the best seller of Nikon till date and the best option for beginners.